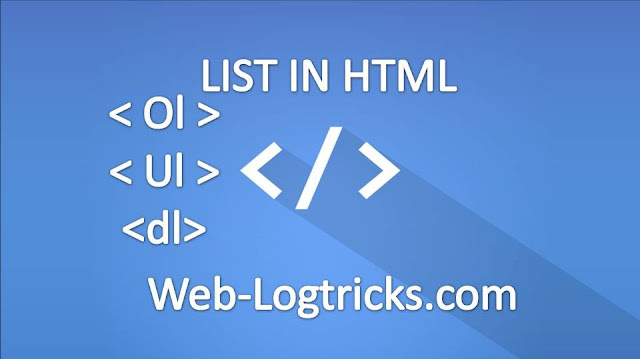 HTML List is must like elements and tags in HTML, the list is more important for a make like a drop down the menu in websites or like List about categories, and as like some menu. HTML basic elements and tags, and other HTML Formatting Tags in HTML. used for navigation as well as general content. We can List out our items, subjects or menu in the form of a list. 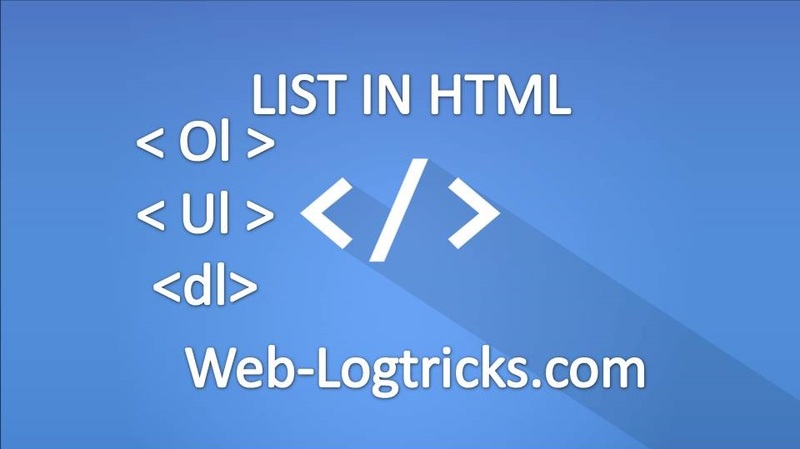 HTML gives you three different types of lists. 1. <ul> - An unordered list. This will list items using bullets. 2. <ol> - A ordered list. This will use different schemes of numbers to list your items. 3. <dl> - A definition list. This will arrange your items in the same way as they are arranged in a dictionary. An unordered list is a collection of related items that have no special order or sequence. This list is created by using the <ul> tag. Each item in the list is marked with a bullet. The default bullet displayed by most web browsers is the traditional full disc. There are 4 other types of ordered lists. Instead of generic numbers, you can replace them with Roman numerals or letters, both capital and lower-case. Use the type attribute to change the numbering. Start attribute is used for starting number as desired. Make definition lists as seen in dictionaries using the <dl> tag. These lists displace the term word just above the definition itself for a unique look. It's wise to bold the terms to displace them further. Extensible HyperText Mark Up Language. A comment is a way for you as the web page developer to control what lines of code are to be ignored by the web browser. Placing notes and reminders to yourself is a great way to remind yourself what pieces of code are doing what.